I wish I would have had this recipe when we were having the HEAT WAVE, but it was still a really tasty late summer treat. 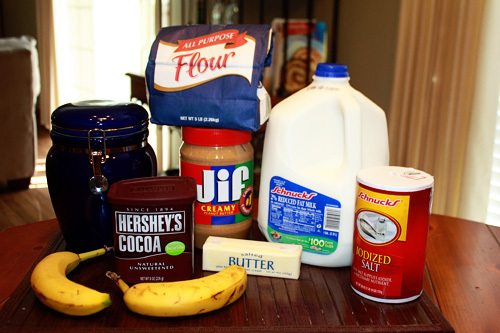 I tweaked the recipe that was posted on Move it 2011, since it was a little easier to find the ingredients. Also, Janna gave me some suggestions on how to tweak it (since she made it right before me) since it was being tweaked. LOL! 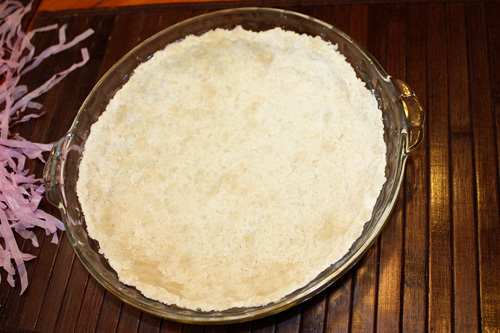 First I made the crust, which was made of melted butter, flour and sugar. I put it in the refrigerator for 30 minutes to set while I worked on the peanut butter layer. 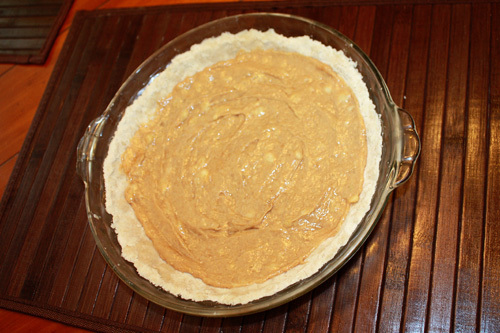 The peanut butter layer consisted of peanut butter (of course), milk and a ripened banana. 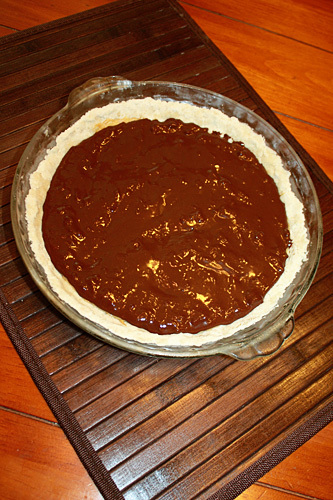 After pouring in the pie dish, freeze for one hour. 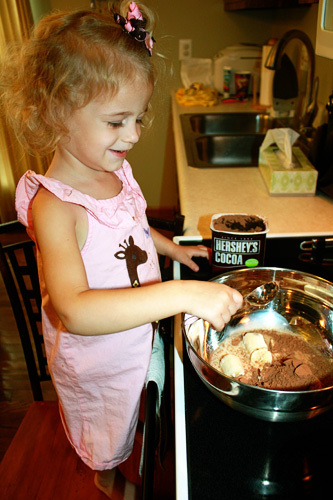 Of course, for the chocolate layer, I had a little help. The chocolate layer was last and consisted of cocoa powder, milk and a ripened banana. Freeze for 1 hour. 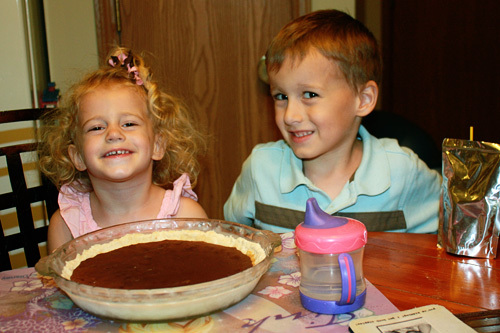 The kids with our refreshing treat.